This is every ravers dream come true! Make a light show everybody loves. 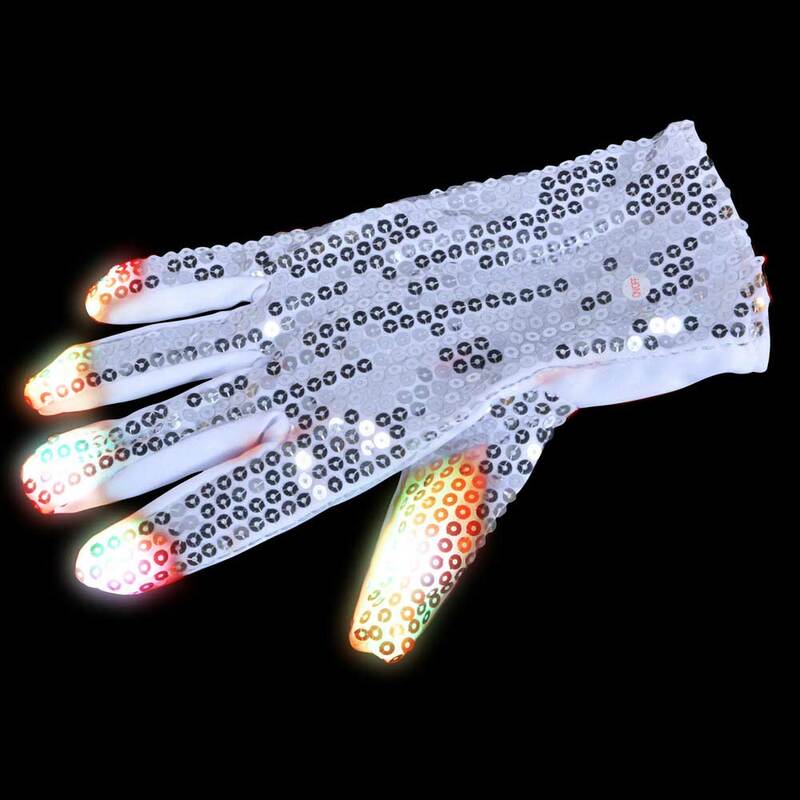 Put on some multicolor LED gloves. Make crazy tracing patterns with your hands in the dark - Stand out! 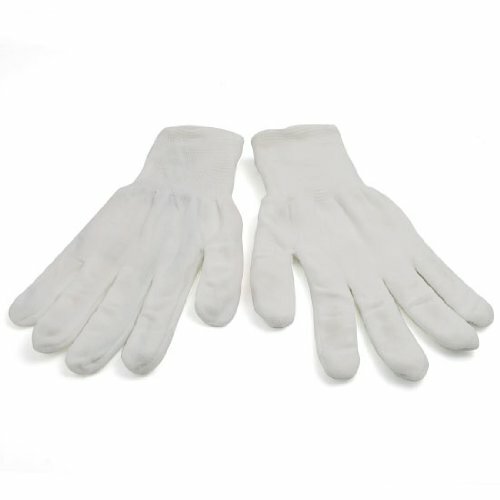 They're like other gloves but with just one twist. 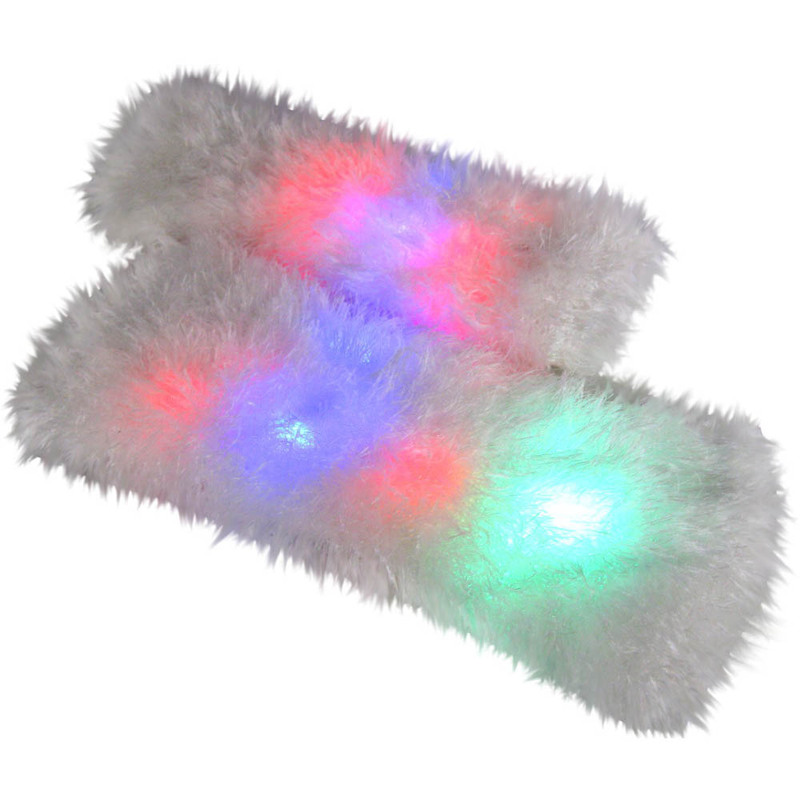 The gloves light up with color LED lights, controlled with the switch on back of the wrist. 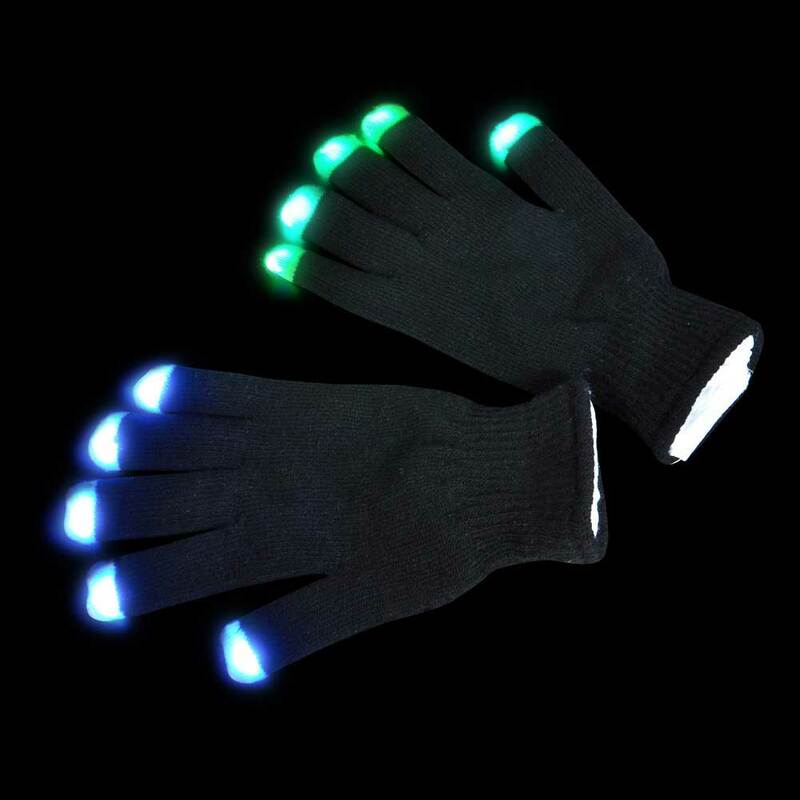 These stretchable LED gloves slip on just like regular gloves. They are so thin that you are still able to wear light up rings and bracelets with no interference for the ultimate light show. 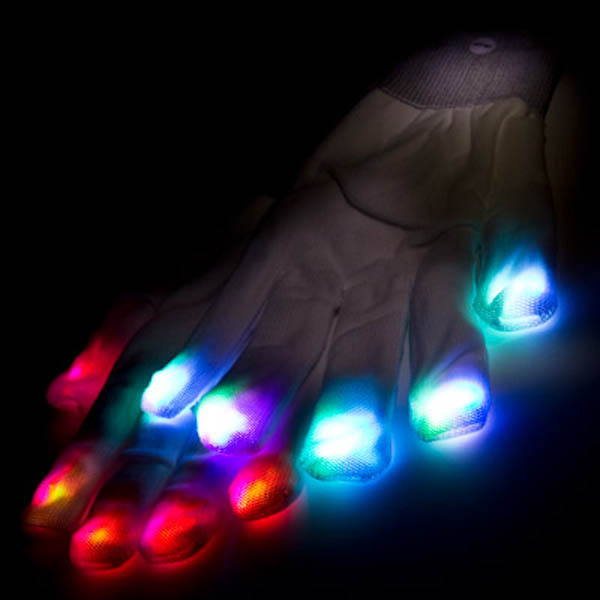 Each glove houses 3 colors LED bulbs: Red, Green and blue. 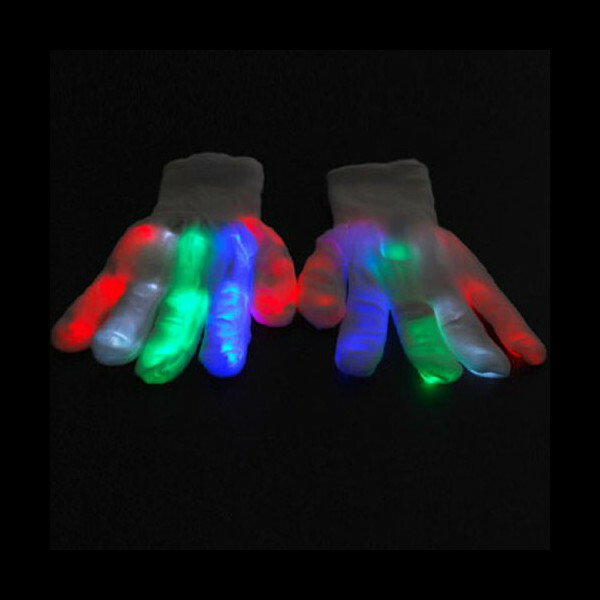 Gloves have 6 lighting modes including rapid flash, slow color-changing, (like a mood ring,) and steady on in multi-color, and flashing in each of the solid colors. Each pair of gloves comes with 2x CR-2032 button cell batteries, pre-installed, and ready to go out of the package. The CR2032 batteries are replaceable, just open up the Velcro compartment at the back of the hand, pull out the component board, slide out the two cells and replace. 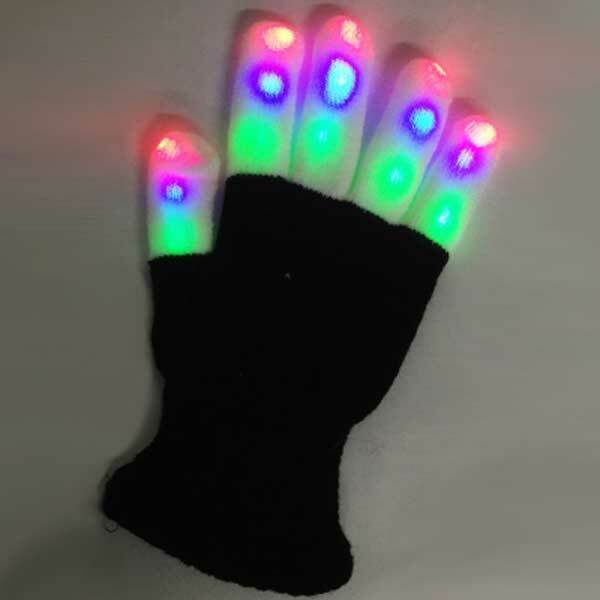 3 LED lights in each finger - thats a total of 15 LED lights per hand! Size is small, but gloves do stretch.